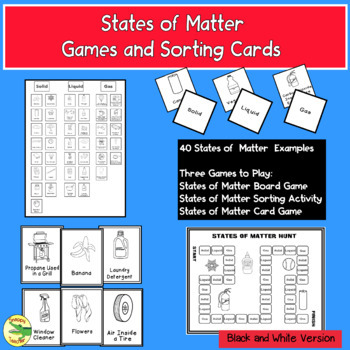 This product includes 40 states of matter cards in 2 different sizes. 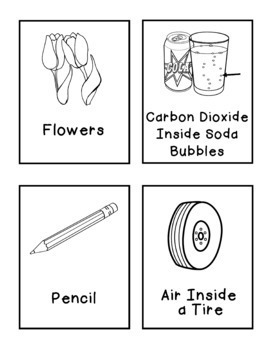 These cards are used with 3 fun activities. 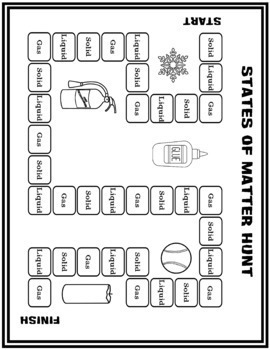 These activities provide practice for your students in identifying the states of matter (solid, liquid, and gas) . 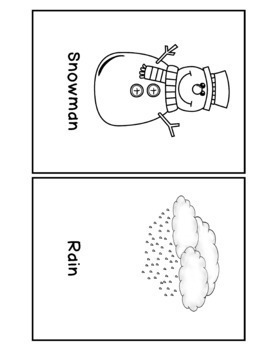 Check out the thumbnails and preview to take a look at some of the cards.This is the black and white version only.